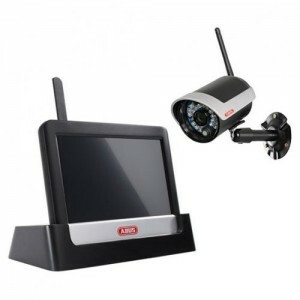 Technology is progressing each & everyday, why not take advantage of this with a self monitored CCTV system? Nothing scares off would be vandals, theives & trespassers more than the fear of being caught on tape. This is where Plug & Play CCTV comes into its element. These days you no longer have to crawl through spider webs and dusty roof cavities just to run cables for cameras. Simply plug the camera into a standard power outlet and the video feed will wirelessly transmit back to your recording device. 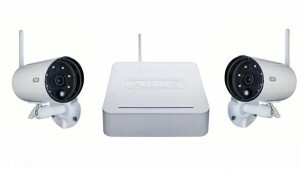 These wireless systems come in a few different styles, either a standalone or highend models that are compatible with either a tablet or a smartphone – via an existing modem internet connection. All models can have up to 4x cameras on the one system. The cameras have a built in Infrared Sensor which activates automatically when there isn’t enough lighting. Also being weather proof they’re fine to be fitted externally in both dusty or wet environments. The best feature would have to be the motion sensor recording. As soon as the camera detects any movement the recording will start and be sent back to your storage device, all saved and time stamped for ease of use when it comes to reviewing the footage – No need to fast forward through hours of inactivity. Feel safe in your own home by being able to see what’s happening outside when things go bump in the night, all without having to step a foot out the door. Come in and see us to discuss which model would be best to protect not only you and your family but also your property and valuables.